The Schaeffler technology group is showcasing its innovative system solutions for sustainable urban mobility at CES 2019, Central Plaza, Booth 25. The Consumer Electronics Show has long morphed from a rather regional trade show for consumer electronics into the world’s leading high tech show. 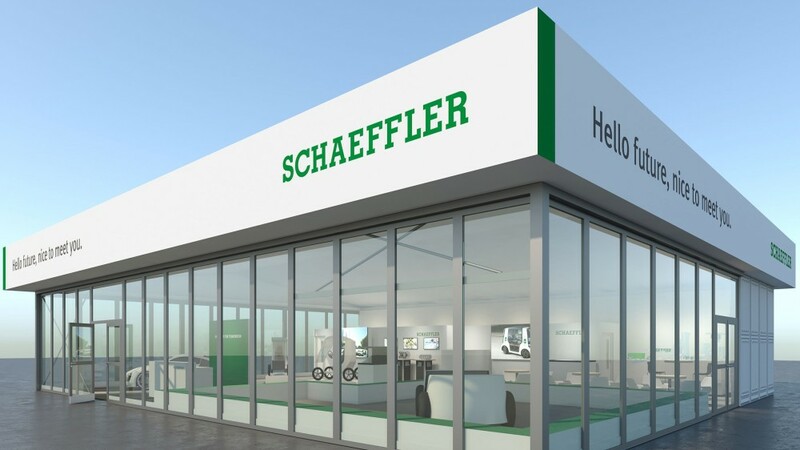 Schaeffler is in a process of transformation as well in that the current automotive and industrial supplier is now developing proprietary mobility solutions. “The mobility world of tomorrow will be as diverse as the people that desire to be mobile,” says Prof. Peter Gutzmer, Deputy CEO and Chief Technology Officer at Schaeffler. “Three concept vehicles – including a world premiere – and other smart system solutions that Schaeffler presents its innovation prowess with here at CES show how particularly personal, zero-emissions as well as autonomous and connected mobility for transporting people and goods is able to continue to evolve in urban areas.” At Schaeffler, this transformation takes place as part of “Agenda 4 plus One,“ a forward-thinking program with which the company is making itself fit for the future, with a special focus on electric mobility, digital transformation and Industry 4.0 (aka Industrial IoT and smart factories). Schaeffler Bio-Hybrid GmbH that belongs to the Schaeffler Group will present two versions of its near-production Bio-Hybrid – a new, contemporary form of personal urban mobility and means of transportation. Due to its four wheels, the concept delivers exceptional driving stability. The roof and windshield make it independent of weather conditions and therefore suitable for year-round use. It is hardly wider than a normal bicycle and can be operated with zero emissions on bicycle paths as well. The electric motor assists the operator – like on a pedelec – up to a speed of 25 km/h. The Bio-Hybrid will be launched on the market in 2020 in the Cargo and Passenger versions. The Schaeffler Mover offers a flexible, zero-emissions platform for diverse vehicle concepts. All the drive and suspension components of a wheel are installed in a space-saving unit, the Schaeffler Intelligent Corner Module. The 90-degree steering angle provides the Schaeffler Mover with unique maneuverability in smallest spaces. “Space Drive,” the leading “drive-by-wire” technology for autonomous vehicles from Schaeffler Paravan GmbH & Co. KG, replaces mechanical control systems by electronic cable-transmitted impulses. Another advantage of the Schaeffler Mover is its connectivity enabling on-demand solutions to complement local public transportation systems. 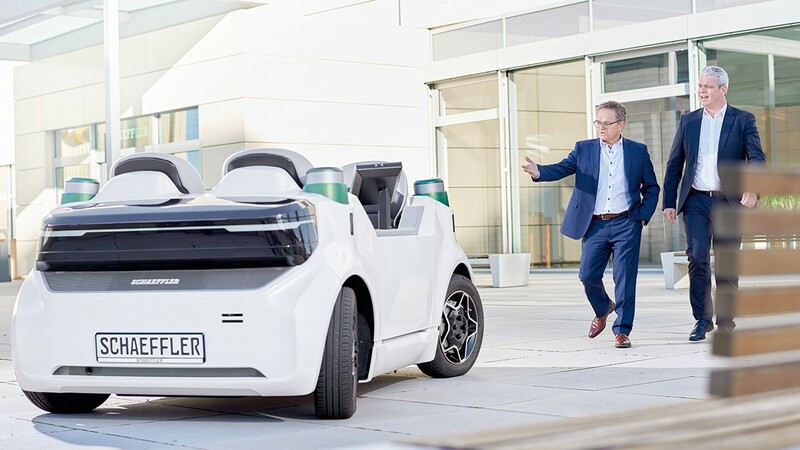 In the form of the 4ePerformance concept vehicle, Schaeffler has put a particularly fascinating ambassador of electric mobility on wheels that will be another highlight at Schaeffler’s CES booth. The Schaeffler 4ePerformance provides a good example of the technology transfer from motor racing into a near-production drive concept. The fully electric vehicle is propelled by four Formula e motors delivering a total power output of 880 kW (1,200 hp). They have been adopted from the ABT Schaeffler FE01 Formula E race car and, like the power electronics in the concept, were developed by Schaeffler’s subsidiary Compact Dynamics, which shows that electric mobility has nothing to do with sacrificing driving pleasure. Above and beyond the concept vehicles, the automotive and industrial supplier will present innovative exhibits as examples of a whole range of complementary electric solutions that make the internal combustion engine fit for sustainable, customer-focused mobility for the city of the future. They include e-axles, 48-volt systems and hybrid powertrains. These solutions that Schaeffler is developing with the know-how from the conventional powertrain enable fast, efficient and cost-effective integration into existing vehicle concepts. “Coming from individual products, Schaeffler is evolving into a company that offers total technology solutions,” emphasizes Matthias Zink, Automotive CEO at Schaeffler.